Vita Plastics is a supplier of regrinds, regranulate and compounds, and contributes to a sustainable society by focusing on the ecological and economic motives. An extensive network of suppliers provides Vita Plastics with post-consumer and post-industrial plastic waste, which is recycled into standard or customer-specific materials under their own management. Mr Alssema is looking forward to making a passionate, enthusiastic and positive contribution to BIR. EERA (European Electronics Recyclers Association) calls on all stakeholders to implement ADR rules for the safe collection and transport of WEEE including batteries. 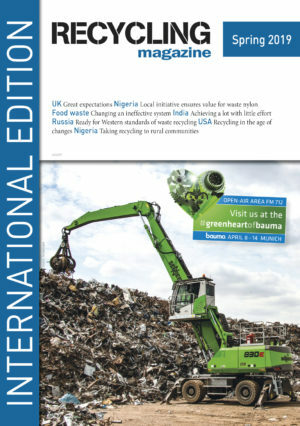 Plastics Recyclers Europe has published the strategy paper on the state of play of the technical plastic parts recycling.